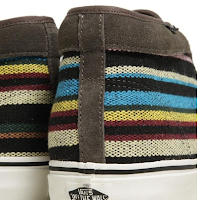 Vans slides into Fall and keeps the cool going on. 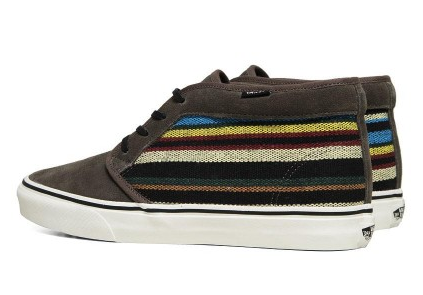 This Chukka boot is a nice addition to the Vans family and would be a nice casual addition to your wardrobe for this season. 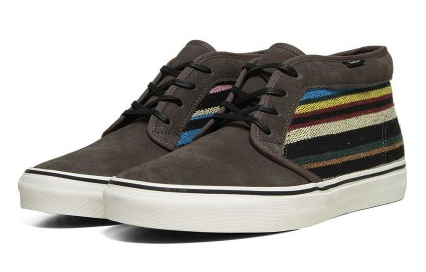 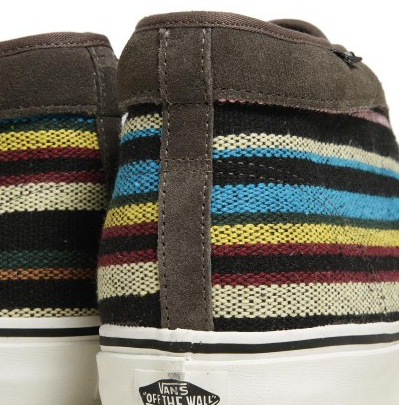 The upper features a South American inspired stripe Guate panel. 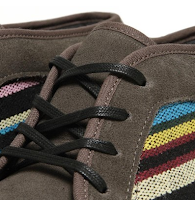 Trimmed in tonal piping on a toned-down grey suede, this shoe is a sweet update to balance off your pea coats, vests, puffers and parkas this season. Available now at EndClothing, David Z. and other select Vans retailers.